All aboard! 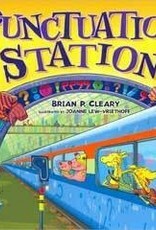 Join a family of giraffes on their journey to Punctuation Station. As the train chugs along, you'll learn the ins and outs of using periods, commas, apostrophes, question marks, hyphens, quotation marks, and exclamation points! 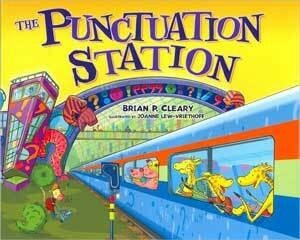 Playful rhymes from Brian P. Cleary and colorful illustrations from Joanne Lew-Vriethoff make learning about punctuation fun. So hop on board - this is one train ride you don't want to miss!